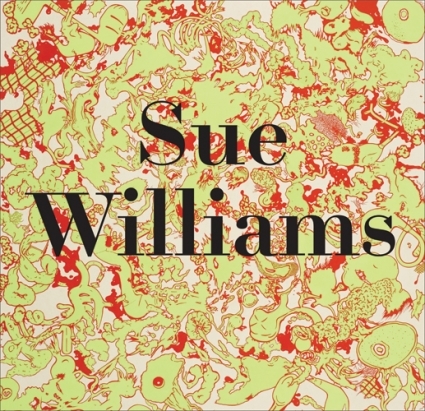 The first comprehensive monograph dedicated to the American artist Sue Williams (born 1954), this book follows her work from the early 1980s to her most recent paintings. Over the course of her 40-year career, Williams has made an array of artwork, from modest paintings of mostly representational scenes in a cartoonish style to large-scale abstract paintings erupting in brilliant colors. In her newest works, figuration and abstraction are mixed anew, for although the images are abstract, the beholder comes across recognizable details--individual body parts or formations reminiscent of human organs. Williams has continuously explored and challenged the fantasies of feminism, sexuality, gender and culture in her work. Throughout her practice she has explored the ambiguous boundary between a secure place and an insecure one, between the real and the imagined, drawing the viewer into her world of provocative sexual politics. Edited by Lionel Bovier. Text by Johanna Burton, Ruth Erickson.